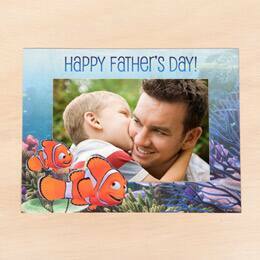 Show off your adventures with Dad in this underwater-themed Father's Day frame. Print the template on regular paper or cardstock. Cut out the frame and the center window. Place a photo behind the frame and tape it into place.